Hi there, friends! I’m here today with a peek into my guided reading block. I’ll be sharing how I organize my guided reading materials, schedule out my guided reading groups, as well as how I plan my guided reading lessons! Psst…. 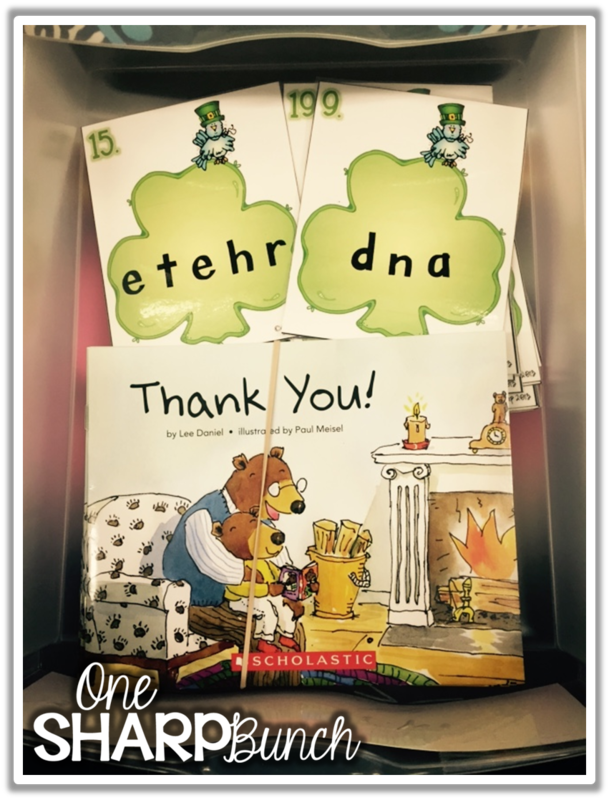 I have a guided reading freebie for you at the end! First, let’s take a look at my guided reading area. I absolutely LOVE my table, shelves and drawers! Everything I need is right at my fingertips! Here’s a close up of the Sterilite drawers behind my table. 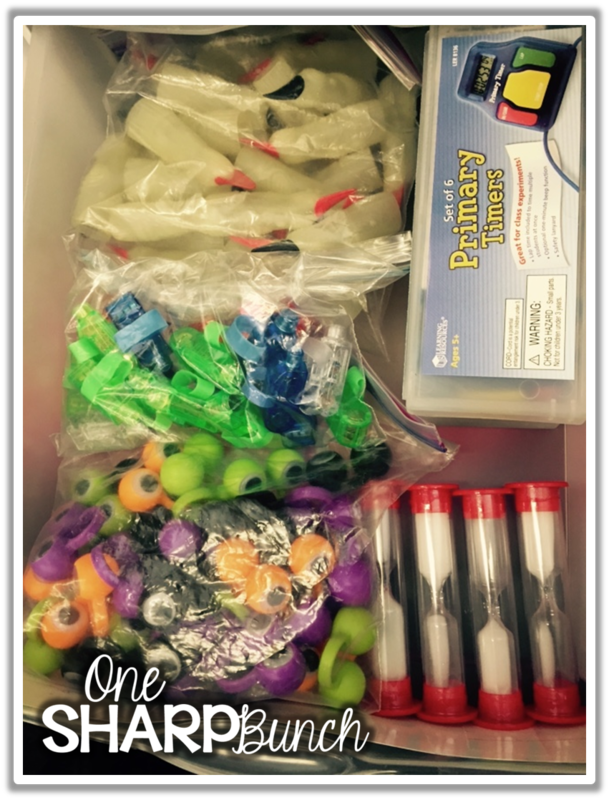 They house all of my guided reading supplies and group books. The labels came from the sweet Rachel over at The Tattooed Teacher. I customized them with my own font and wording. 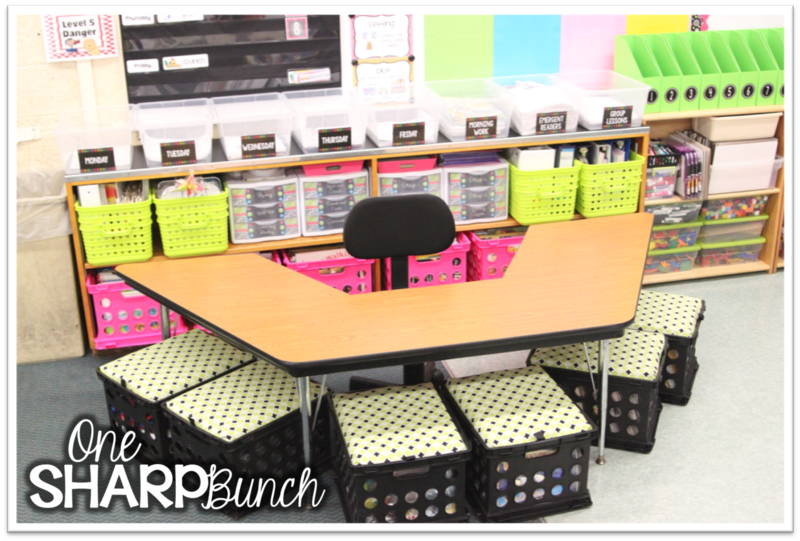 You can check out more of my classroom here! Let’s peek into some of the drawers… shall we?!? I have five reading groups, with approximately 3-6 students in each group. 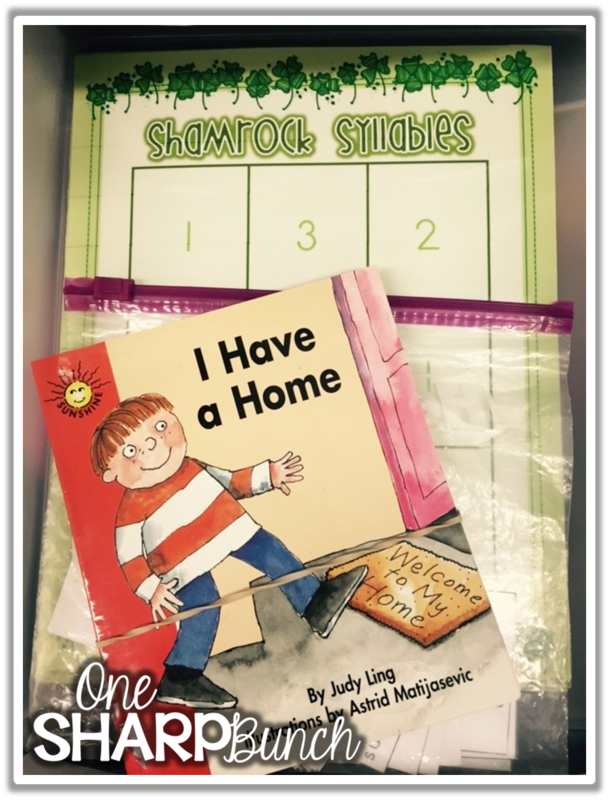 Each group’s book for the week and reading activity supplies are kept inside the appropriate drawer. This keeps my OCD heart happy… organized and out of sight! I keep all of my tracking supplies, digital timers, and sand timers inside a separate drawer. 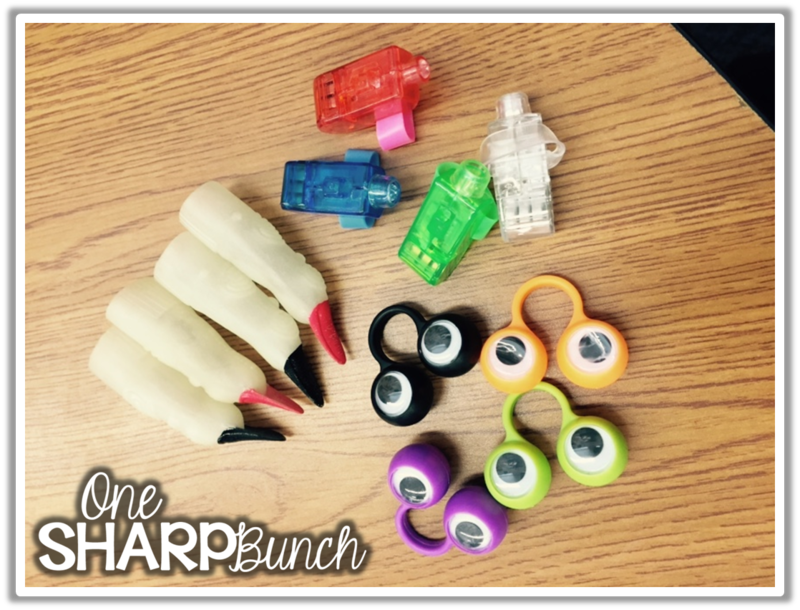 We use some type of “tracker,” including eyeball rings, witch fingers, or finger lights, each time we read. They really help my struggling students with one-to-one correspondence. 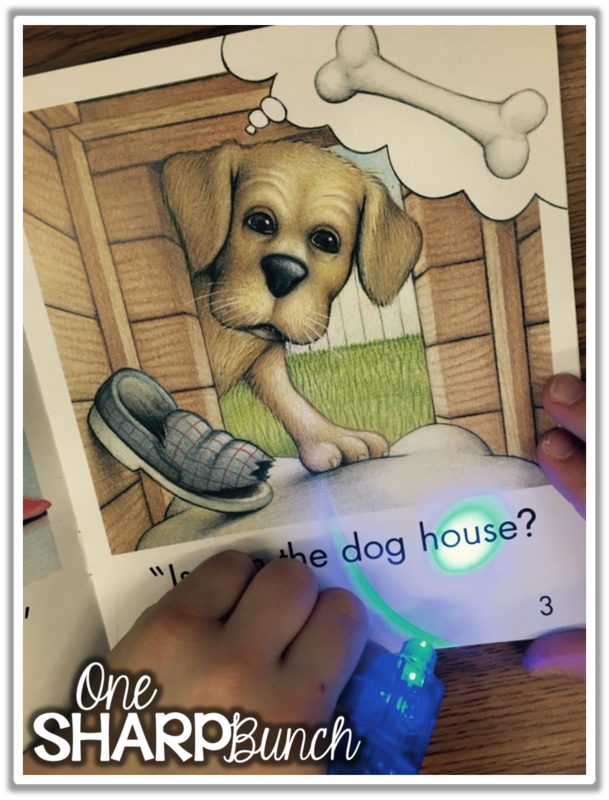 My kiddos’ favorite are the finger lights! I purchased mine from Amazon. My favorite are these “Reading Trackers” from Lakeshore . 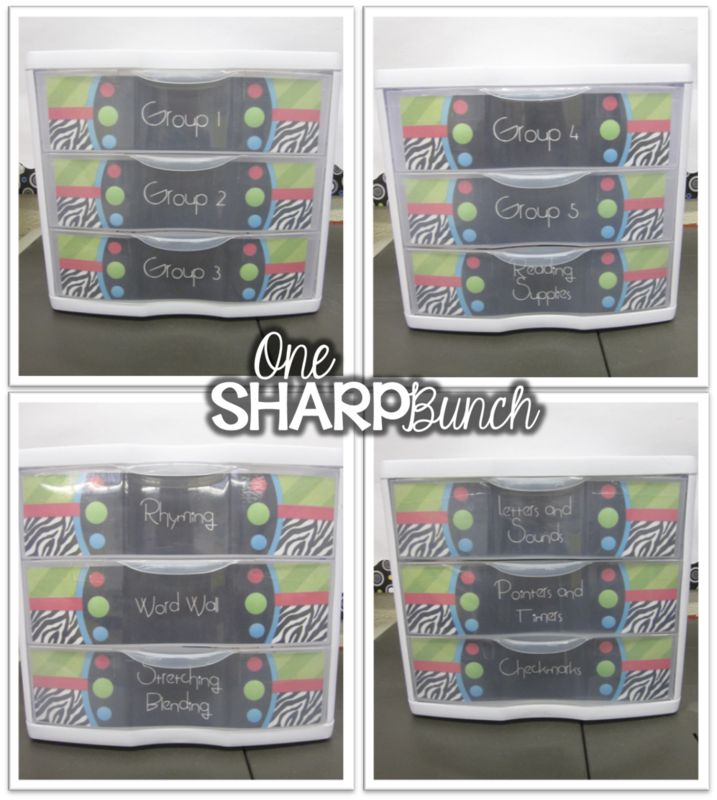 They are perfect for tracking multiple lines of text. 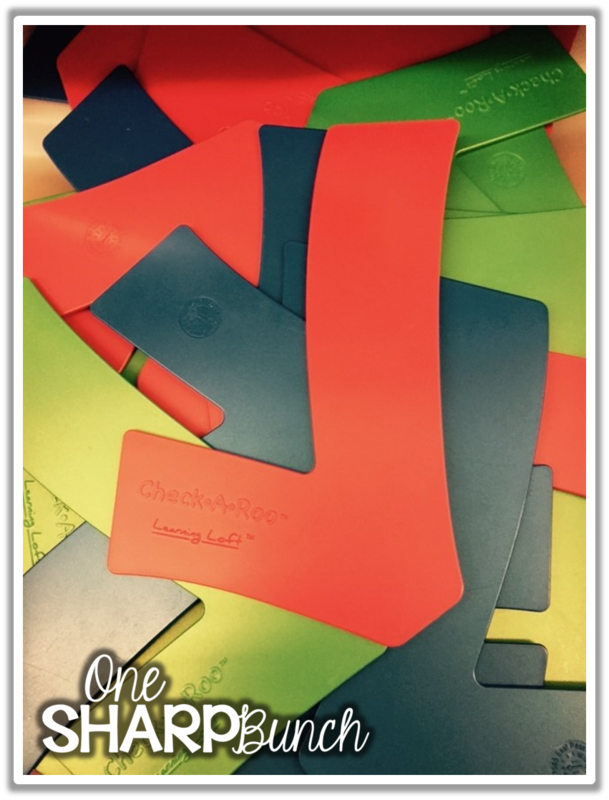 Another tool we use a ton during guided reading is our “Check-A-Roo” checkmarks from Learning Loft. I actually ordered mine years ago from Scholastic. They serve as a great reminder to check for understanding while we are reading with a partner. 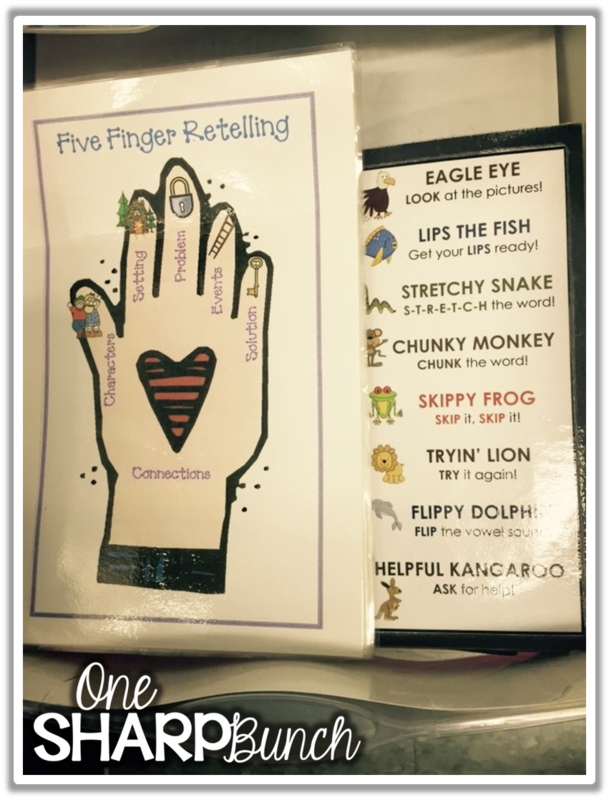 We also use our reading strategy bookmarks and Five Finger Retelling cards almost every time we meet. 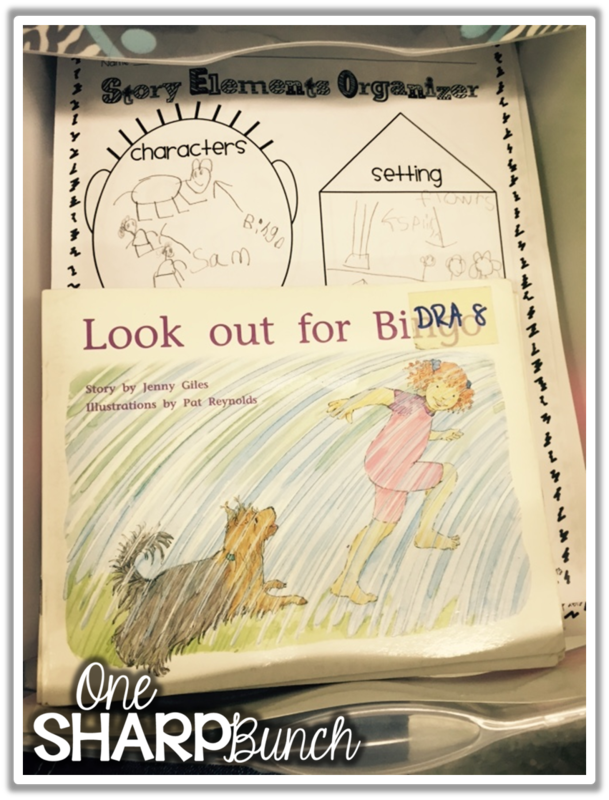 Now that we’ve taken a look at how I organize my guided reading area, let’s take a look at my guided reading binder. I customized this cover using a freebie from the fabulous Maria over at Kinder Craze. The first insert is a copy of my weekly guided reading schedule, which you can snag below. As mentioned earlier, I have five guided reading groups with 3-6 students per group. I meet with my low group every day, my low-med and medium groups three times per week, and my high-med and high groups twice per week. I would love to meet with all of these groups every day, but I also meet with guided math groups throughout the day. To quote the two sisters, “Fair isn’t always equal.” The groups who need me the most, see me the most. I apologize if you do not agree with these sentiments, but I do quickly check-in with my other students during our Daily 5 time. 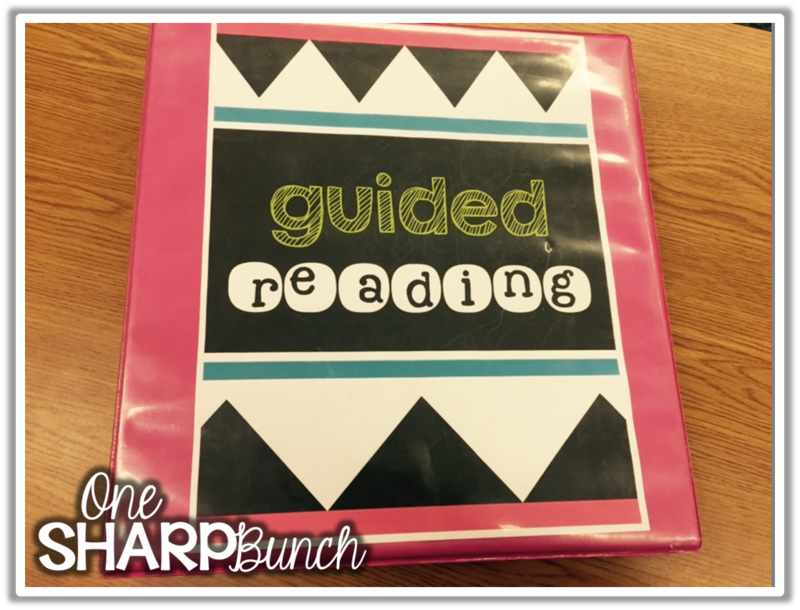 My guided reading binder has five sections, one for each group. 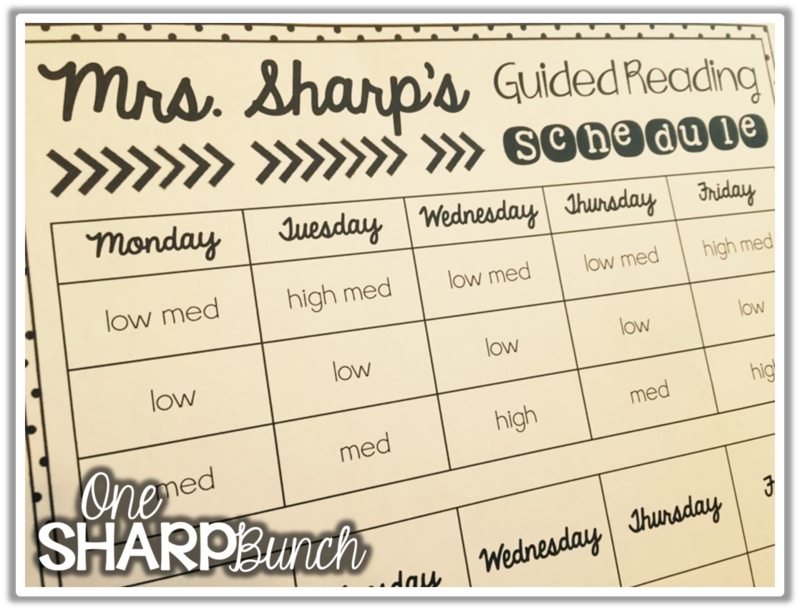 I keep each group’s weekly guided reading plan behind each tab. 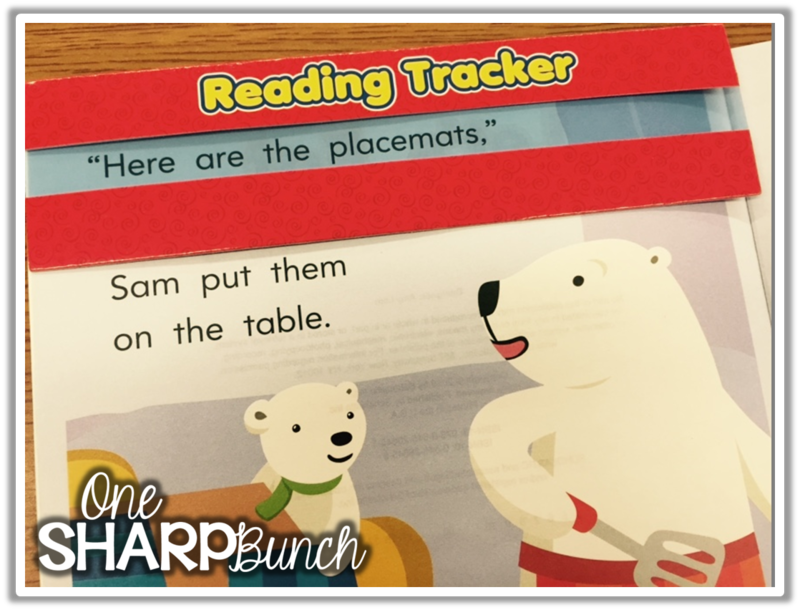 I break up my guided reading time into three parts, much like a workout. First, we warm-up the brain with an alphabet or phonemic awareness activity (depending on that group’s needs). Then, we complete the workout or reading activity. Lastly, we cool down with a sight word or fluency activity. All of this occurs in approximately 15-18 minutes. Here’s a brief rundown of some activities. Believe me when I say I have changed the layout of this plan almost every single year I have taught, but I am happy to say that I think I have finally found a schedule and plan that works! 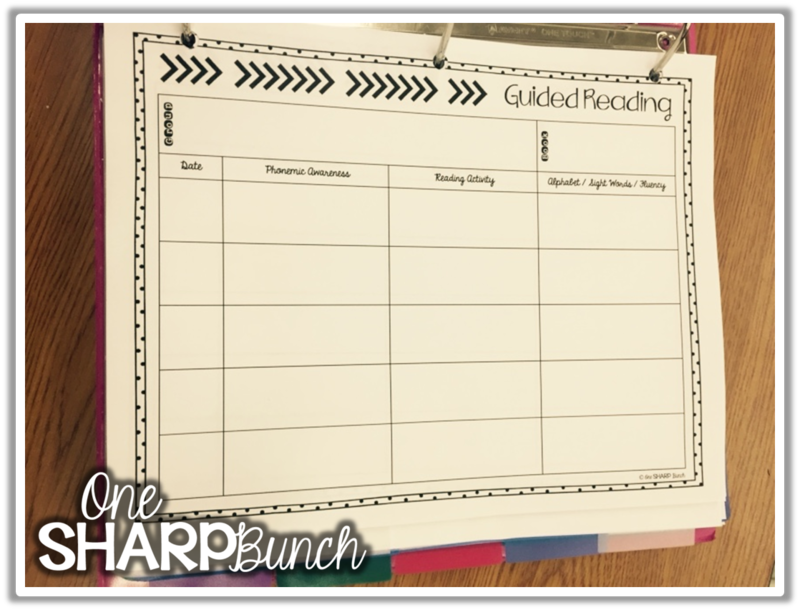 Grab a copy of my Guided Reading Schedule and Guided Reading Plan below! 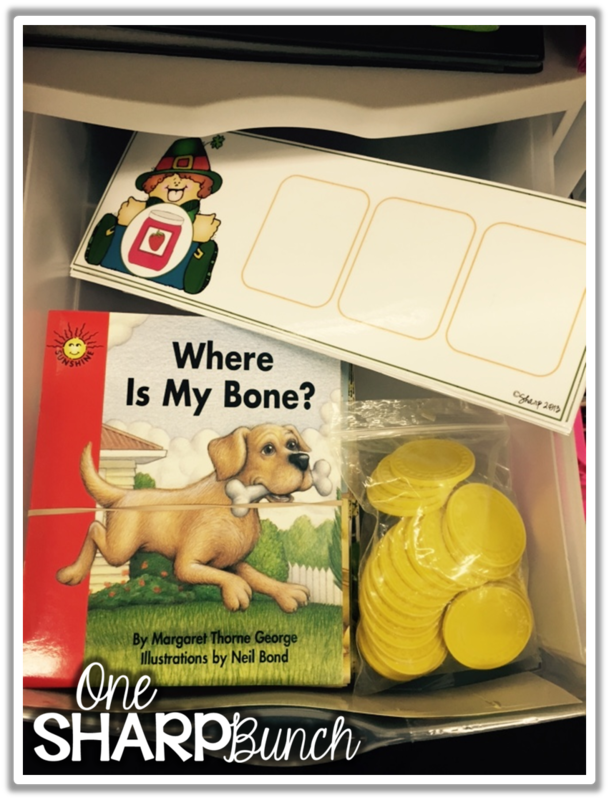 Don’t forget to check out my “Guided Reading / Small Group Instruction” board on Pinterest for more ideas! 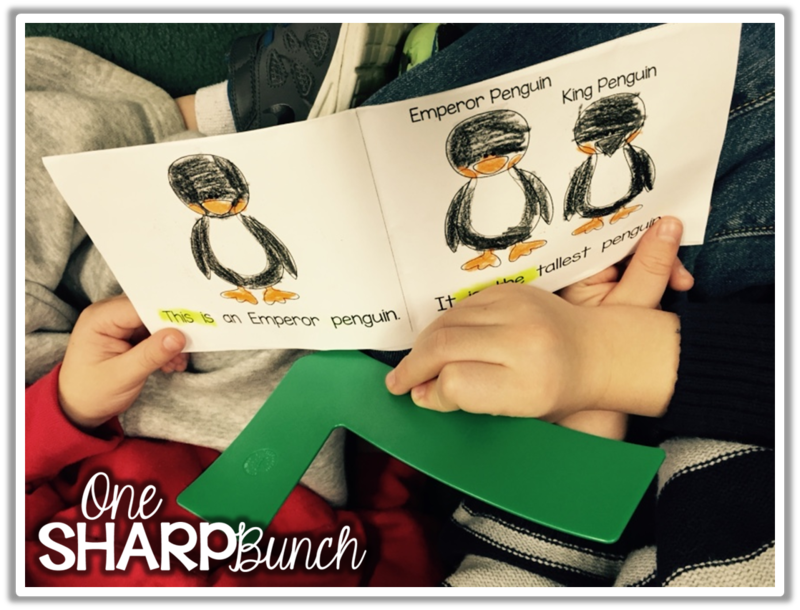 Follow One Sharp Bunch’s board Guided Reading / Small Group Instruction on Pinterest. Happy organizing, scheduling and reading! When do they actually read the book? Like if the reading activity is a picture walk, when do they read it? Do they read the same book all week and you do different activities with them from the book each session? Do you have summarizes of each activity or a TPT with all of you activities? Love your table!!!! Where'd you get it? What's it called!!!?? I love your guided reading schedule and the plan. I was wondering if their was any way you could email/share with me an editable version of the guided reading table. It's so awesome! Where did you get your table? Thank your for sharing your ideas. Love your blog. I was wondering how many groups do you have for centers and how many centers does each group visit for ELA? Love your ideas! Where can I access your guided reading schedule template? It won't work when I click on it. Our maintenance crew actually made this table. Sorry!